Yeah, yeah…..my birthday was a few weeks ago. Don’t say a girl can’t keep the party going. 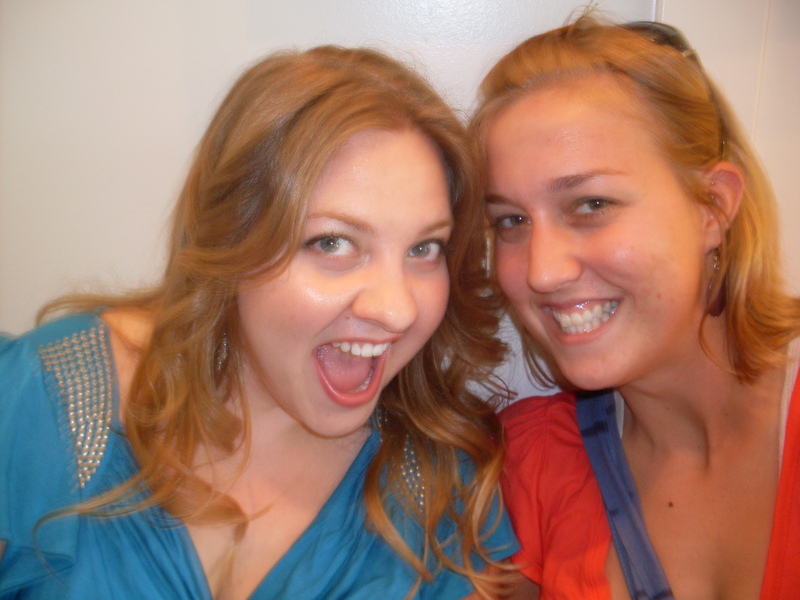 In reality, this was a postponed birthday celebration with my friend Bethany, whose birthday is just a day before mine. Due to MasterWorks craziness and her being on vacation, we couldn’t get together until last night. (I need a new camera. I’m sick of blurry pictures. Anyone have any suggestions for a small, affordable, point and shoot that will take good pictures? Is that asking for too much?) Anyway….hi Bethany! Happy birthday to us! 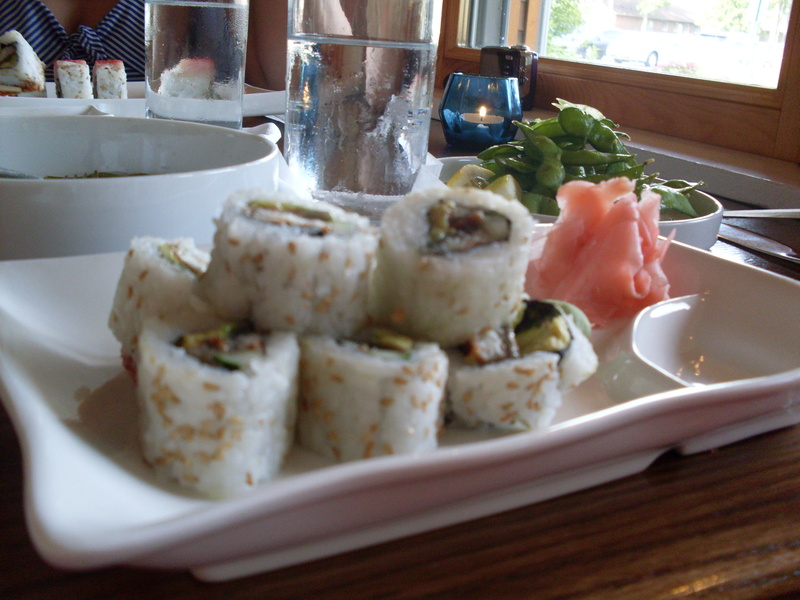 We went to Cerulean for some yummy sushi. Really, it’s the best. If you don’t want to come visit me for any other reason, please do come try this restaurant. Locals, if you haven’t been, you’re just….well. Honestly, I don’t have words for you. Go check out Cerulean. I started out with some edemame. 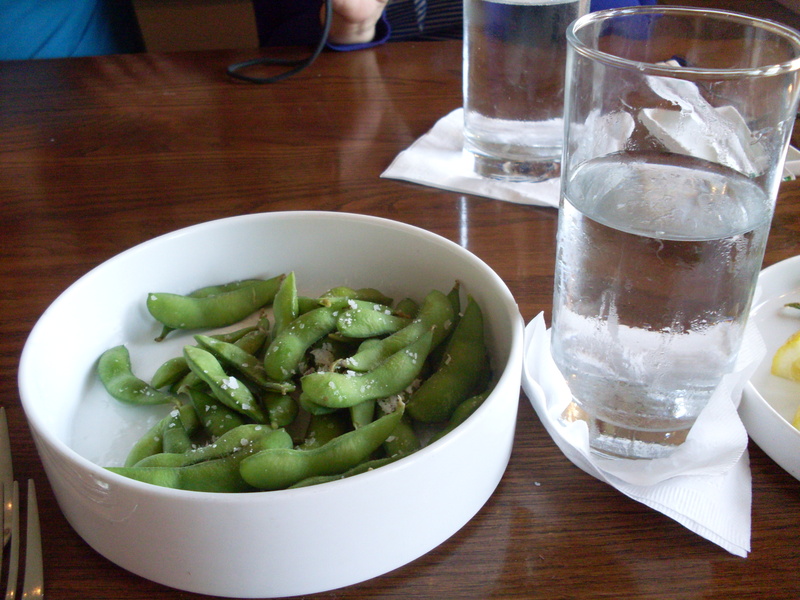 Because let’s not lie, I heart some edemame covered in sea salty goodness. And then some unagi roles. Which, if I remember right, is grilled eel. Or something like that. Anyway. There is avacado in it as well. Dipped in soy sauce. Yummy. 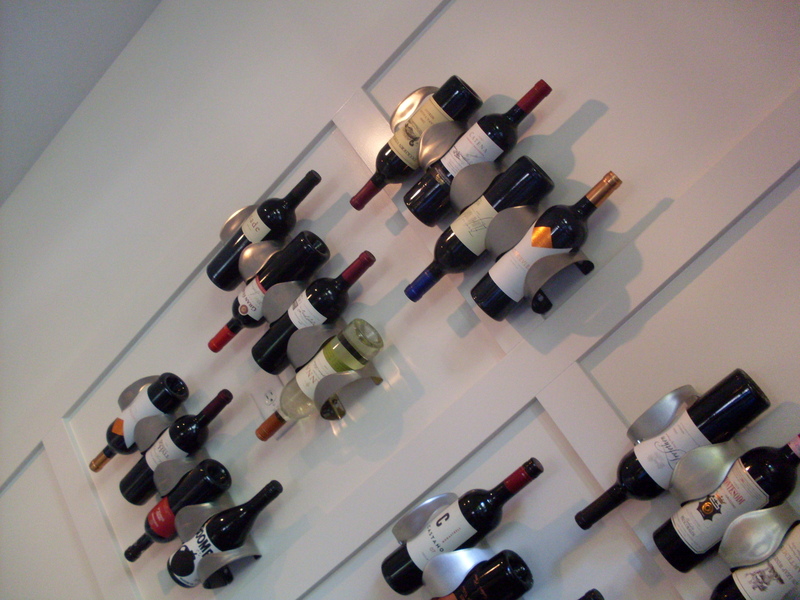 When I’m a grown up and live in a real house, I want wine bottle holders like this. What is one superfluous thing that you would buy for your house if budget weren’t an issue? I haven’t a clue, but I fell in love with them! The next time I’m there I’ll try to ask. They strike me as quasi-Ikea…..
That sounds amazing….I hope you had a great time! I have the SD1000 and I’ve gotten to be such a snob with it that I won’t use any camera that is inferior. Seriously, they are great. Where is my email? I love that! I definitely agree!